The Stress Management Society were an official media partner at last week’s Health@Work Summit in London. At some point we will all experience sickness absence. Infrequent and genuine absence should not usually be a problem. However the Bradford Factor (a human resource management tool for measuring worker absenteeism) suggests that short frequent and unplanned absences are even more disruptive than longer absences. When absence becomes part of the corporate culture, or develops into habitual long-term absence, it can have a profound impact on productivity, morale and competitiveness. According to the Office of National Statistics, in 2013, 131 million days were lost due to sickness absence in the UK. Long-term sickness in particular takes a high toll. It represents only 5% of absence cases, but accounts for 40% of sick days for UK business a year (Office of National Statistics, 2013). The first step is to adopt a positive organisational context. If you work in a company where employees feel good about coming to work, are engaged and committed the probable result is lower absence levels. The second step is to have a clear absence policy in place. Ensure this is effectively communicated and understood by all. Ensure all managers, team leaders and supervisors are adequately trained on how to utilise the policy. Include it within the staff handbook and on the intranet and ensure it is included in the induction process. Thirdly, monitor absence levels, and make sure people know that you do this by involving measurement in staff reviews and appraisals. Again, a useful tool to measure worker absenteeism can be the Bradford Factor. One of the most powerful tools in managing absence is to demonstrate to employees that days off are taken seriously. Monitoring enables you to spot trends and find solutions. This could be through raising awareness of health issues, stress management or healthy living days, or by creating a healthy work environment. Not only will this help reduce absence, but it also contributes positively to the ‘employer brand’. This can be a key factor in reducing absence as flexible start and finish times, job-sharing or term-time contracts help employees to better manage their work/life balance. Financial or other rewards motivate most people, apart from chronic absentees, but they can encourage those who are ill to come back to work too soon. Alternatively good attendance can be recognised by senior management through personal letters or staff magazines. These give the chance to check an employee is recovered, review absence records and discuss any underlying contributing issues. These should be conducted even after short periods of absence. One of the most effective ways to reduce absence is to decide on a level of absence which is acceptable in the company, after which an employee review takes place. Viewing former attendance records can be useful when recruiting for a new job and has been shown to be effective in reducing overall absence. 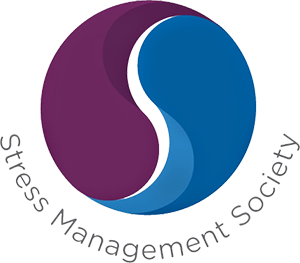 The Society was formed in 2003 by a number of healthcare professionals, management consultants and therapists - all experts in mental health, well-being and quality of life issues. Their goal was to create a brand new type of accessible organization that offered impartial help and advice to everyone on stress management. The professional counsellors involved in the organization are qualified to the highest degree. They are members of professional bodies from the British Association of Counselling and Psychotherapy, General Hypnotherapy Register, Association of Neuro Linguistic Programming, and Association Thought Field Therapy.